We appreciate referrals!! If you refer a friend, you will receive a $15.00 credit towards your next visit. Thank you for spreading the word about Kindness Pet Hospital! 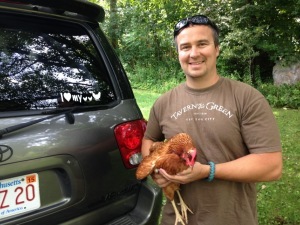 Below is our friend Neil and one of his backyard chickens! !